Au Revoir, Radiant Orchid… and Bonjour, Marsala! As we enter a new year it’s time to welcome the new color of the year, as anointed by color-picking powerhouse Pantone. 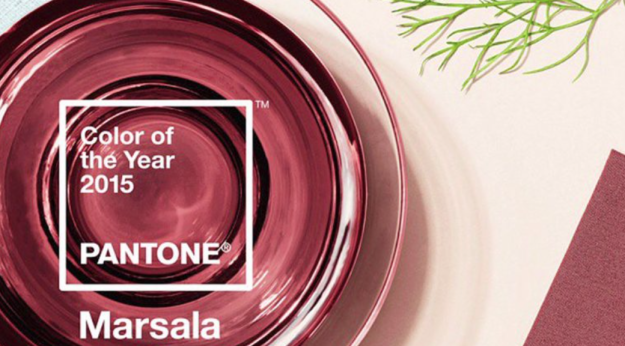 Every year they are responsible for choosing the reigning hue and this year Pantone has chosen Marsala, a reddish-brown wine color. The first thing that springs to our mind is a delicious plate of Chicken Marsala and a robust Malbec wine. Yum. While Marsala may not be as vibrant as its purple-pink predecessor, it is a sophisticated shade that is the perfect choice for a professional environment and pairs beautifully with so many colors, from gray and navy to pink and ivory. 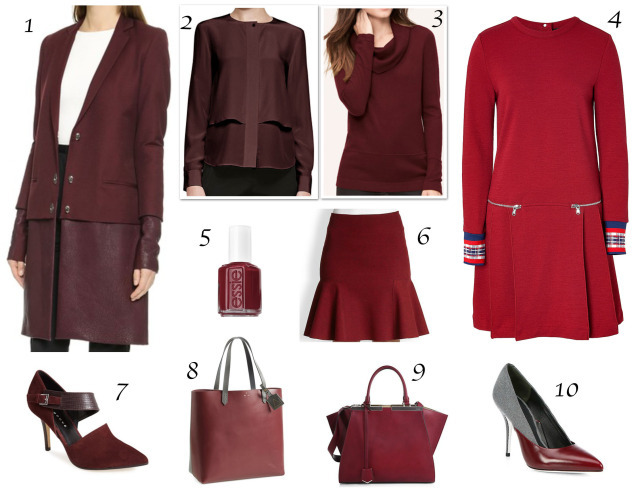 We hand-picked a selection of 10 Marsala pieces from couture to super deals that will quickly bring your workaday look up-to-date in 2015.